This dress is one of the season’s must-have pieces, creating a playful yet feminine look. 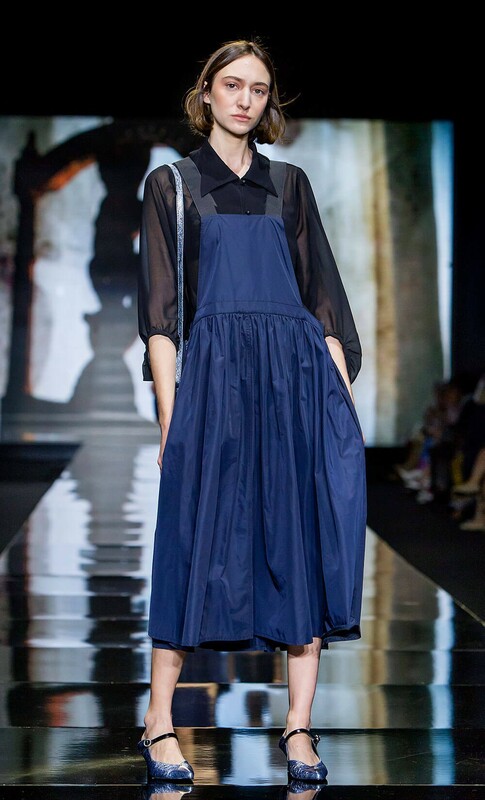 The apron style dress has an oversized silhouette and is cut from blue black taffeta. The ankle length dress has elistacted black straps reminiscent of suspenders.